We will discuss if Technical Analysis – trades based on indicators in stock markets does make money or not. 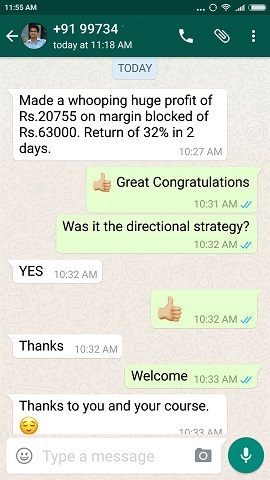 I do not have much knowledge in Technical Analysis (TA) neither there is a need to learn because I am very happy with my conservative trading strategies. TA is for people who want to be very aggressive 🙂 – those who want astronomical returns from stock markets. Very few people are able to do it. People like us who are retail traders with a job or business should look for small consistent profits. Technical Analysis traders take short-term naked directional trades. This is big risk. If you have a job, this gets very difficult as you need to keep an eye on your trades every second. You must be able to quickly take profits or losses as per the indicators. These trades needs 100% of your attention. If your trading account is large and/or you are trading hundreds of lots, you cannot leave your trading table without stop-loss in your system for even 10 minutes. Traders using Technical Analysis either go for buy or sell mostly using Futures as per the signals of their program. Some of them use options too. Since they love to trade direction, Futures are mostly preferred. Most of these people use some kind of tools/software to help them know the indicators to buy/sell. Some buy it from third parties, some develop their own trading ideas using Technical Analysis software available in the market. But frankly what a human brain can do, software cannot do because they do not have the ability to think. Technical guys rarely trade next month derivatives. Some quickly get in or get out in few minutes or hours. Some in 2 or 3 days max. Some even develop systems to do automated trading / algorithmic trading. In automated trading the system takes care of trading. The trader just needs to give information. The rest is taken care of by the system. This has its pros and cons. Human emotions of fear/greed are totally out of the trading system – this is a positive. The negative is that if the system is not fed properly or if there is a bug (server/internet) while trade is on – a lot of problems may occur. Read this $440m mistake of automated high-frequency trading. One mistake in a software can take you down ages never to recover. Automated or not – the decision the trader takes is the final one that decides profits or loss. Technical Analysis is meant for small swings in a stock/index and it mostly comes in 2-3 trading sessions. In fact if target is not hit, as far as I know they close the trade as they hate taking long positional trades. 3-5 trading sessions is the most they can wait. Most of them then start looking for new indicators. Why? Because for them time is money and any movement is what they want to capitalize on. Of course this is not possible always. Only a few go for positional trades. They either make a lot of money from one trade or lose a lot due to un-hedged directional trades. So technical analysis is for people who can take big risks. I am not one of them. This does not mean I am against Technical Analysis – I am only saying you should have a huge appetite for risk if Technical Analysis is what you are looking for to implement in your trades. And yes if you have a job or are into a business you will have a lot of difficulty doing trades based on technical analysis. They need your time. A few traders may even hedge – but technically its not technical analysis. In my view they are better traders. 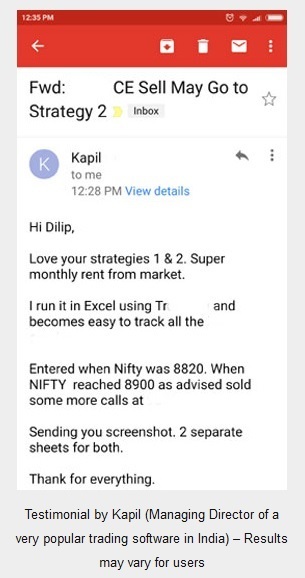 I also think that if Technical Analysis really made huge money (reasonable for a living every month from an average trading account of say 5 lakhs) why would people struggle, pay and work hard for 4 years to study Engineering/Software/Medical/CA/Law etc? They would rather invest a year or two studying Technical Analysis and make money from home. Logical? Making money from home is always better than taking a job, right? Why not every intelligent person is a TA? 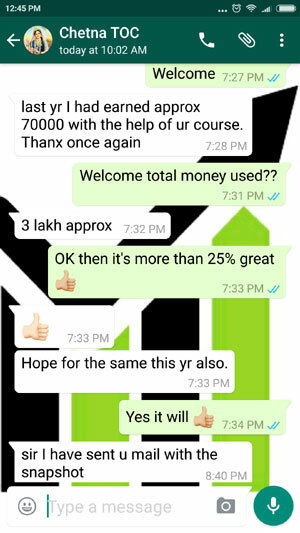 One day I got this email from Mr. Shantanu – an expert in Technical Analysis who is a regular visitor to this website. I was very happy to receive this letter as it came from someone actually making money using TA. 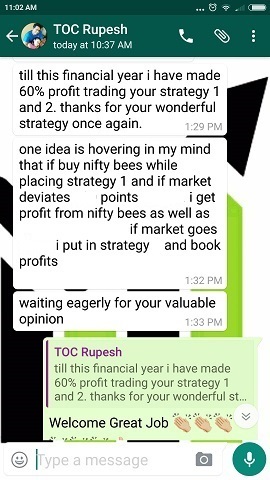 So to know the answer I asked Shantanu if he could write about pros and cons of technical analysis and let my readers know if they should invest in Technical Analysis knowledge. I asked him if he could throw some light on this issue and let us know if someone can actually make a decent living out of Technical Analysis. Please read my notes in between too. Yes, we can make a decent amount of money with knowledge of technical as it is also a tool that helps to get out at the right time when the tide turns against you (hence gives Capital Protection). I have always believed that in trading, making money is easy, but not loosing money is an art. Coming to option trading, I never hedge, I know surprising, but true (that’s the confidence and trust TA gives me). 1- Gives a trader eyes and ears on the behavior of the market. 2 – Helps you understand the most important of trading, Price Action. 3 – Answers you Why, What, and When. Basically tells a trader, What it will do, Why it do, and When it will do it. 4 – Helps cuts down on losses. 5 – Helps people to stay on right side of the trend and allows a trader to let the profits run. 6 – Cuts out emotions and egos from trades. 1 – Not a perfect world so at times one can get deceived and take wrong positions (for example, today, most of the folks including me took a bullet). 2 – Half knowledge or poor knowledge can prove costly. Some people say TA is a smart way to loose money, those monkeys belong to this category. 3 – Can be overwhelming at times, people can get stuck with analysis paralysis and miss opportunities for entries and exit. 1 – on that day Nifty gaped down more than 100 points. 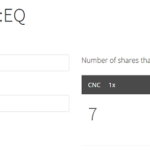 Gone – 100 points gone in 1 trading session. Now climb the ladder again. This is the major issue with TA. 2 – is a very valid point. If you just read a book on TA and think you are ready to take large bets – I bet you will lose ALL your money. Practice and perfect yourself if you really want to do well in Technical Analysis. I have a simple system that I have developed (took me 3 years to make it) that generates signals which are good enough to make a living and take couple of vacations around the globe. My daughter had cancer when she was 6 months old. Treatment drained me of my bank balance, sold everything I had. Trading made me pay the bills, recover my money, and saved my kid. My system is very simple, however, there is a even simpler system that beats them all. Its called “Trendline Break Trading“. If you know how to draw a line, you can make money. Setup in brief: Draw trendline of current trend (join minimum two points). Wait for prices to break the trendline (up or down) and wait for ADX (Average Directional Index) to confirm the same. That’s it. My actual system gives more accurate trades as it removes market noise. But the above setup is used by me over any other system (sometimes I use this system even without the ADX, less oscillators the better, trust your eye). Backtest it yourself, over any period, any instrument. Then I mailed him: Saw your image Shantanu. But it was made AFTER the event was over. How can you predict the future with that? Naah, we are not predicting but following the trend (only on this setup). Entry is on second candle, price should be near to closing of previous candle that broke the trend. So for example if Nifty broke the uptrend and closing price is 8500, our entry for short would be around this price the following day. I will try and send a more clear picture. Still awaiting Shantanu’s reply. If you are reading this Shantanu please do write more about this in the comments section. Technical Analysis is trades done for short period of times. TA are directional trades. Mostly done with futures with no hedged trades. Strict profit and loss laws are followed. Human emotions are not involved. Not everyone can be a good Technical Analyst. The real reason is trading more than the risk they can take, not hedging positions and speculating too much. And every-time they think that this time markets will behave the way they want. This happens once in ten times. This makes them confident and they trade again and lose more than they made. Not taking a stop-loss. Maybe ego or hope being a reason. You may or may not learn technical analysis but you should learn being conservative. Always hedge your positions, know your max loss, take a stop-loss or profits when a target is hit. Learn from your past experiences. Trading, as a profession, gets little respect. No one would try to become a doctor or lawyer without any training, but some traders just don’t think any knowledge is important. They speculate and lose a life time of earnings. I hope you are not one of them. Are you a Technical Analysts? If yes please post over view on TA in the comments. We all will be thankful to you. Nice article.I have made a mind to do a TA course but I didn’t. Because it is too vast and so complex to understand. Keep writing Sir. Abhishek yes you are right. The TA course is very vast and complex and is not easy for most people on a job. Time decay & Volatility – I will keep that in mind and inform you when I write about that. Soon enough, I understood that all that mess was simply lagging the markets while the real deal was price action. Around that time, I remember demo trading a method (never went live) that involved drawing Fibonacci extensions on the daily time frame between the high & low of the previous two candlesticks. I just wanted to figure out if this “trading thing” works. It was fun exploration while it lasted. These days, I’m trying to wrap my head around F&O alongside my regular work. For all practical purposes, I consider myself a “reset newbie” in the financial markets. Yes, I did, but only after I got rid of all those technical indicators and looked at price action with risk management in focus. It also made me a temporary fan (back then) of Fibonacci based trading. Not sure if those methods work these days but I do stumble across articles that swear by the accuracy of fib levels, and some others that complain of drawdowns involved. As TA been discussed here… Dear R.Nathan is it possible to trade positional using price action if yes then can you type few lines on set up! Okay, this was a few years ago, so I’ll explain the basics the best I remember. Buy entry for this trade happens at 110% fib level (custom fib level) and we trail profits with exit at either 131.8% or 161.8% (custom fib levels). Stop Loss was at 100% fib level. Reverse rules for Sell entry / exit. I don’t have access to a chart right now, so I can’t visually explain, but I’d like to add a disclaimer that I tried this method with decent profits way back in 2011-2012. I haven’t traded it beyond that stage since I had to revert back to the demands of my day job. Also, the trading was done in the currency markets (which is open 24 hours x 5 days) which functions very differently from equity markets, so I’m not sure of the applicability or adaptability of the same to futures & options trading. Thanks R.Nathan & Dhadiga for your valuable comments. I so wish I could have done a better job with the chart I sent, hopefully will send a better image soon. However the basic fund is about trendlines. A break/breach of trendline (major or minor (of 10 daily bars) with volumes is a good enough sign to take trades in direction of the new trend. All technical analysis indicators are based on price. So instead of interpreting the indicator, take the trade based on price. Please remember, not all trades are sucessfull by this method but the win-loss ratio is far better (in fact it is close to 80% based on my observations) than any indicator based trading. On a serious note hope you are fine. We are getting one bad news after another from the Himalayas. Yep whenever you find time send me a new chart. Will update. Anything that helps my visitors is great.